At our March meeting we welcomed Joe Cunningham, also known as Joe the Quilter. He began making quilts in 1979 after a career in music (he even brought his guitar and sang for us). 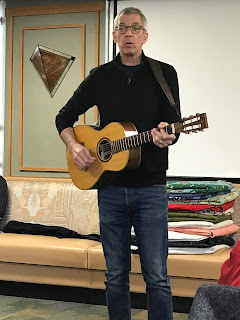 Joe was a delight as we learned about his introduction to quilting by Gwen Marsden. Joe enjoys looking at a traditional pattern then forgetting what he saw in that pattern and creates his own design, loosely based on that traditional design. He is an avid user of bias tape and likes to mix textiles. All members are welcome to attend monthly sew ins at member’s home. Heather’s next sew in is Monday, 4/1 @ 6:30 PM in Andersonville. Emily’s next sew in is Friday, 4/12 @ 6:00 PM in Melrose Park. Please email the guild to get in contact with one or both of these members for their address. Welcome to newly voted in board members and Thank You to the outgoing board members! All members in attendance voted in favor of updating the by-laws, as noted in the March issue of The Full Bobbin. 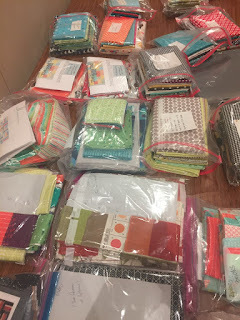 If you signed up for the next Riley Blake Fabric challenge with MQG, your fabric is being mailed to Jen our secretary and will be distributed at upcoming guild meetings. 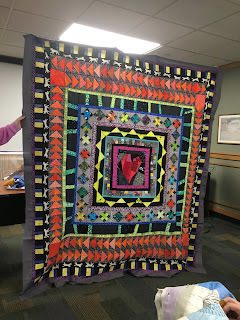 Rebecca our membership chair is collecting 6 ½ inch unfinished heart blocks to send to a guild in New Zealand as they will create quilts for the victims’ families at Christ Church. Any heart design pattern is acceptable (applique, the popular Cluck Cluck Sew tutorial, etc.) You can you use any shade of green in the heart, but please make sure the green fabric does not include the color red and/or a persons face. Background requested color is white (no specific color/brand was noted use what’s available to you). 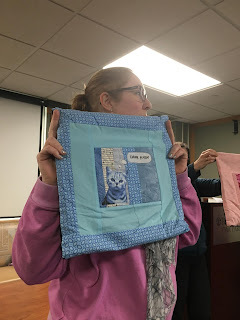 Please bring these blocks to the April meeting, Rebecca will coordinate sending them on. Make 1 or as many as you wish. If you are making a quilt for Project Night Night we would like them turned in by our June meeting. You are welcome to use your own fabrics or we have a lot of various quilt shop quality guild fabrics to use too. If you wish to use guild fabrics, please email us and we will put you in contact with Sarah who’s coordinating this project for us. Our spring retreat is now full. April 14 Quilt Olympics, we will be challenging members in various categories. No physical activity required, but a lot of fun and thinking. May 18-19 Libs Elliot-Embrace the Chaos Workshop on Saturday May 18 at Thimbles and lecture/trunk show May 19 at our regular meeting time and location. Workshop signup info/link was sent to all CMQG members on March 18, if you did not receive the email, please let us know. Libs is a fabric designer for Andover Fabrics with multiple collections, she is a unique designer who designs using code and is also an English paper piecing designer. June 21 (NOTE 4th Sunday due to Father’s Day) we are hosting a sew in, location to be announced soon. We do have a programming change to note Sheri Cifaldi-Morrill of Whole Circle studios will now be joining us on September 21-22 instead of our July meeting. Do you have an idea to assist our programming team or want to provide input/suggestions? Please come to their meeting held just before our monthly meeting on May 19 in the snack room (just outside our regular meeting room) at Rush Oak Hospital, the time will be announced in The Full Bobbin. If you are unable to attend please email the guild and we will pass along your ideas. This month's meeting is on Sunday, April 14. 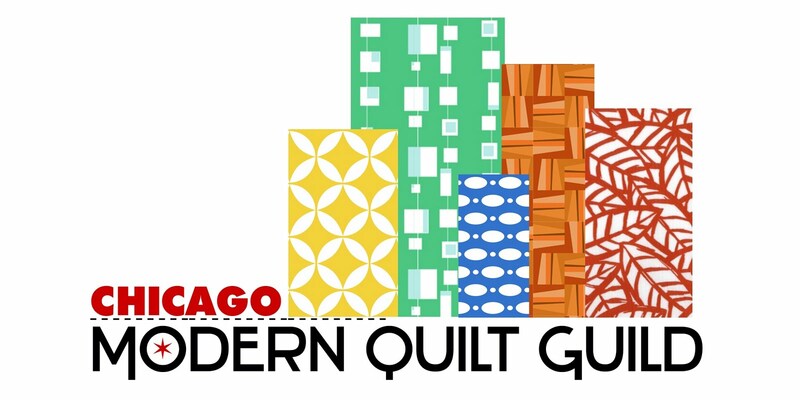 The Chicago MQG is delighted to host prolific quilter and popular lecturer Joe Cunningham for our meeting on Sunday, March 17! This lecture is free for members and $10 for guests. Joe Cunningham, also known as Joe the Quilter, began making quilts professionally in 1979 after a ten-year career as a musician in Michigan. 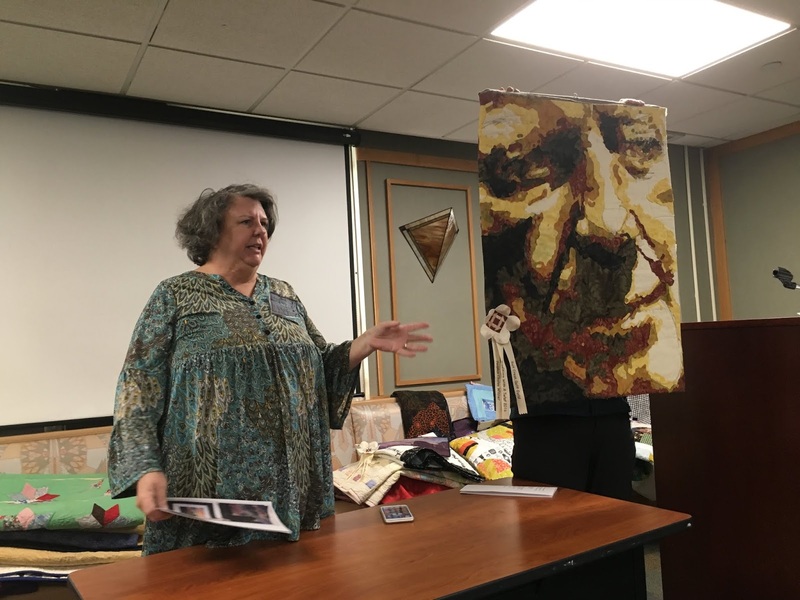 His early mentors were steeped in the history and traditions of quilting, leading Cunningham to a life of study in quilt history and a love of traditional technique. Over the years, his quilts have evolved into a unique, personal style. His quilts are in the permanent collections of museums, as well as in numerous private collections. Cunningham has written eleven books on quilts and a column for the national magazine The Quilt Life. He has been featured in numerous quilt television shows and gives talks about quilts and teaches workshops nationwide. 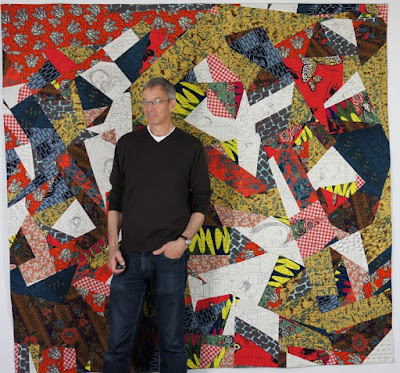 Cunningham will present a lecture and trunk show about his career in quilting. This special meeting will have time for show and tell, so bring your latest finishes to share with the group! The meeting will be held at our regular time and location, from 2-5pm in the Rush Oak Park Hospital Centennial Room. 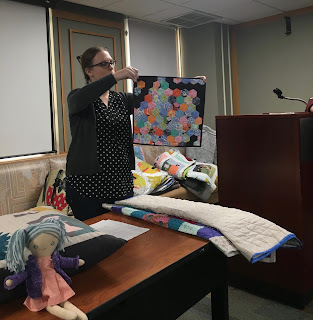 Sarah Shulman displays some of our charity fabric. If you're interested in some for a current or future project, let us know! Sarah made up a bunch of packages of fabric for folks, and can make up kits for your charity projects, too. We had a terrific space for communal sewing. If you have a specific pattern or colorway/design in mind and would like to use some of our quilt shop-quality guild fabric, please email the guild and we will get you in touch with Sarah. There are still a couple spaces left for you to attend our Spring Retreat being held April 5-7(or 8) at the Sienna Center in Racine, WI. Head to our blog post to sign up. The new by-law change regarding adding board member positions that was included in the last Full Bobbin will be voted on at the March meeting. The proposed change has been slightly reworded since the initial notification to clarify each position’s responsibility more clearly. This rewording was presented at the February meeting and read aloud to the members in attendance, and paper copies were provided. If you would like an updated copy of this proposed change, please email the guild and we will forward it. We will also be voting at the March meeting for our new officers for next year, which were announced in a recent email. 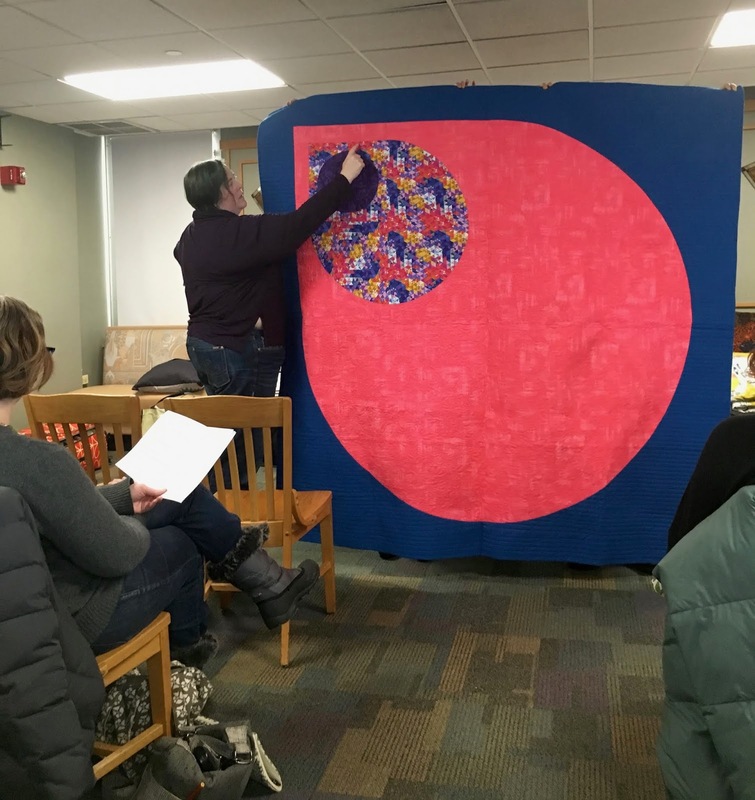 In March, we welcome our guest speaker Joe “The Quilter” Cunningham in our regular meeting location. Even though we are not hosting any workshop with Joe, the Salt Creek Quilters Guild is. Visit their site for more info. In April, we are challenging our members to participate in Quilt Olympics. It’s going to be a fun event held at our regular meeting location with more details announced next month. In May, Libs Elliot. She is a fabric designer for Andover Fabrics who designs many of patterns using computer code and is also an English Paper Piecing designer. 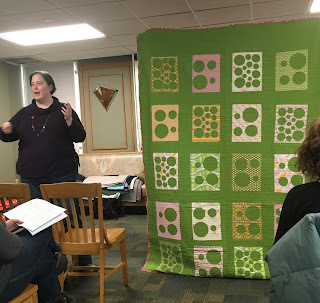 We are hosting a workshop on the pattern “Embrace the Chaos” where each attendee's quilt will be its own unique design, but all are created using basic block construction. This pattern is available only to workshop attendees; it is not available for purchase. Sign-ups will go live via an email sent to members on March 18. The workshop is being held at Thimbles Quilts in Lockport on Saturday, May 18 and then Libs will provide a lecture/truck show on Sunday May 19 in our regular location. Monthly informal sew-ins are being held at members’ homes. To attend either one or both, please email the guild and we will put you in contact with these members for their addresses. Join Heather on Monday March 4 at 6:30 PM and/or Emily on Friday March 8 at 6:00 PM. Join us for a Charity Sew-In this month! We are holding this sew-in on Sunday, February 17 (our regular meeting date), BUT we will have a different location and time. 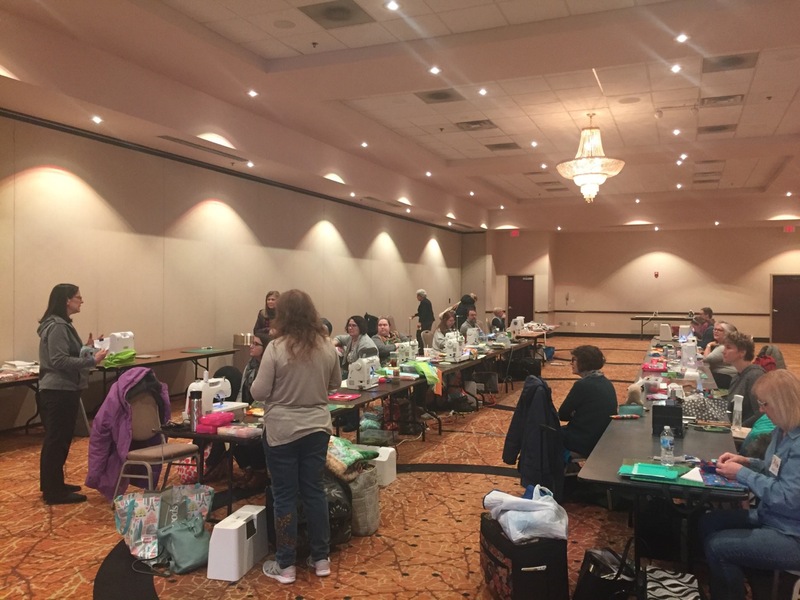 We'll get our sew on at Clarion Inn Elmhurst - Oakbrook, from 10am til 4pm that day. There will be tables and power, so bring your machine, or come with some hand-sewing to work on, if you prefer. Member Sarah Shulman has put together some kits and other materials that will enable us to work together to make some charity quilts! If you'd like to work on personal projects for some of the sew-in, that's fine too. 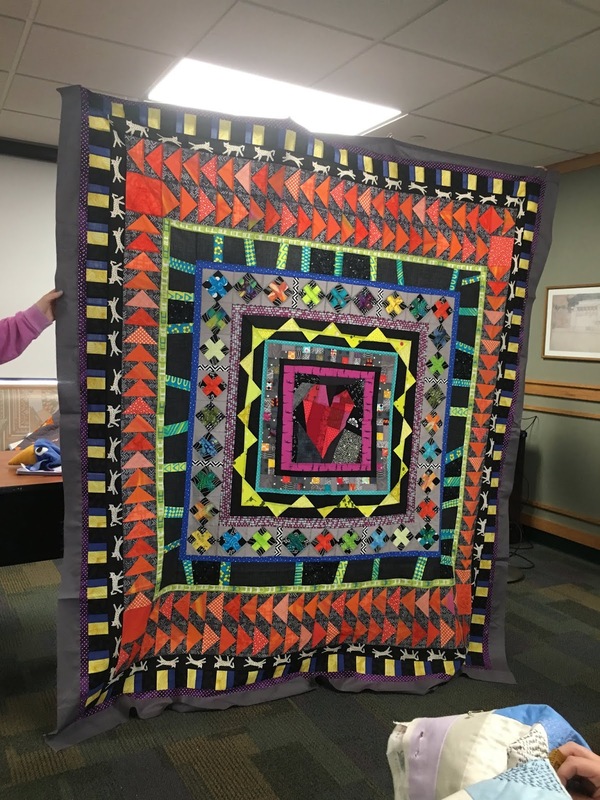 But we'd love for everyone to pitch in so we can make progress on making comforting quilts for some great charities. Regular meeting announcements + show & tell will be at 2pm. The Clarion Inn Elmhurst - Oakbrook is located at 933 S Riverside Drive in Elmhurst. You can park in front and carry your things through the hotel to the ballroom (where we will be sewing). Or you can drive your car around to the back entrance. As you face the front of the hotel, take the road that wraps around to the right. It's quite bumpy but may be worth it to get closer to the room. No lunch will be provided. You can bring a packed lunch, go out to a nearby restaurant, or order in! Shannon Dangerfield has been quilting for 20+ years and loves liberated, eclectic, colorful, and modern approaches. She's so thankful for the guild - she's gained knowledge, skills, friendship and inspiration. Shannon Dangerfield shows off a delightful, colorful creation. 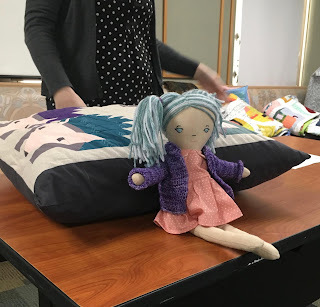 Shannon loves to make fun home decor items like this pillow. Like many of our members, Shannon is working on finishing her medallion quilt this year. 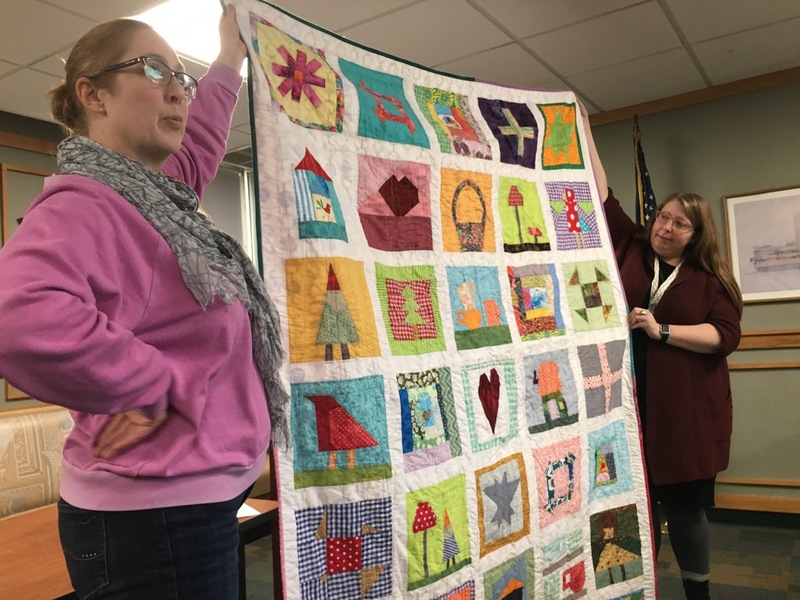 Sarah Evans has been quilting for 15 years, and is also a longarm quilter. She reminds us that there is more than way to accomplish beauty - find the way that works best for you and pursue it with all your might. An early quilt by Sarah Evans, it includes a variety of techniques. This quilt was made from leftovers after cutting out shapes for applique! Sarah's modern take on the drunkard's path is a delight. 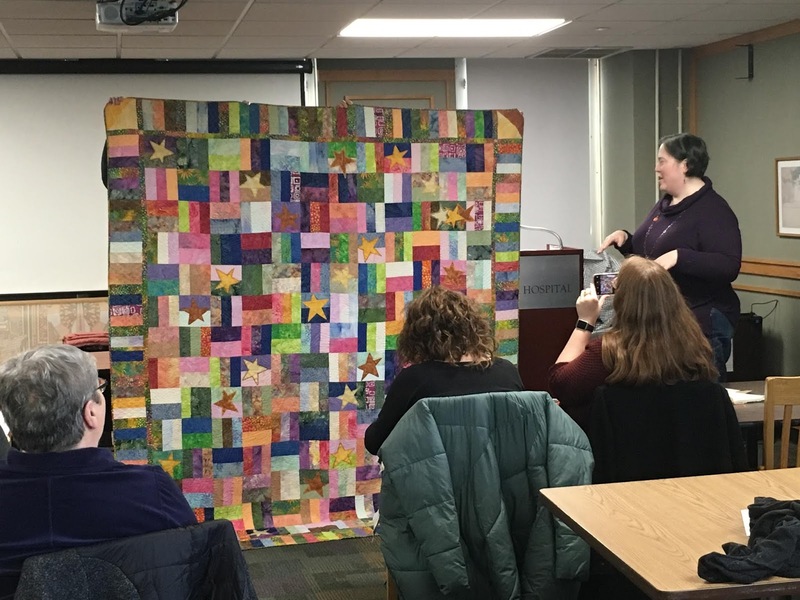 Carole Wool started quilting in the late 1980s and says her style is constantly evolving, honoring tradition while pushing personal boundaries. She says that peer relationships with a wide mix of ages and experience have give her many gifts. Carole Wool has created many family heirlooms, like this quilt that includes hand-stitching of her son's handwriting. Carole showed off a few garments she's created - and even gifted this one to another member! 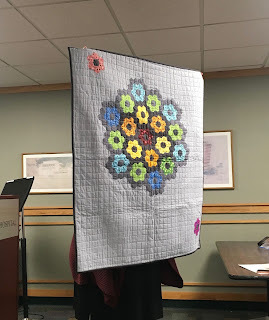 This quilt of Carole's father has a fun, complex back story. 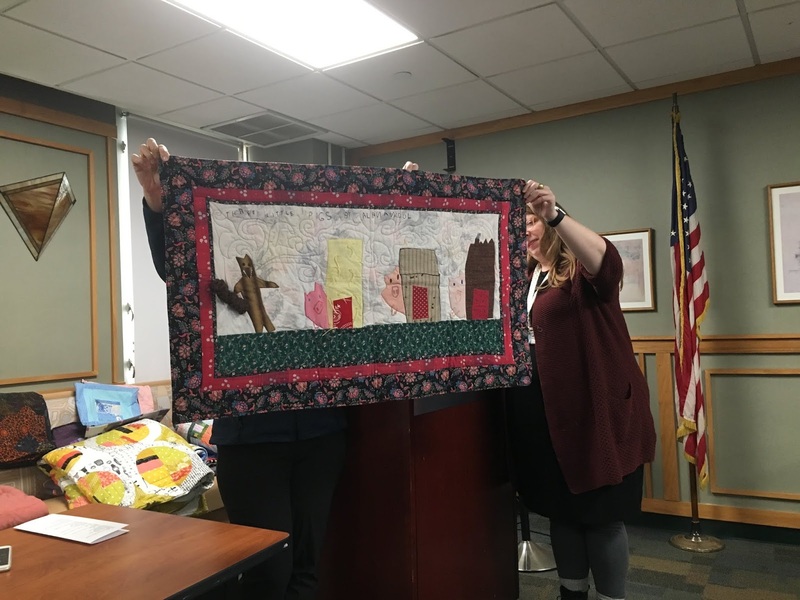 Jennifer Lowe has been quilting for 12 years, and showed off a variety of creations. She loves knowing that she has made the world a cozier place, and describes her signature as cheerful. Jennifer loves making stuffed dolls (and all their clothing and accessories) and household items like pillows. 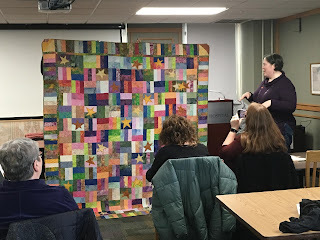 This mini quilt shows off Jennifer's english paper piecing technique. A mix of traditional methods and modern color choices are key to this quilt. Music is a huge influence on Laura McDowell Hopper, and it shows in her quilts. She says she's thankful every day for the friendships she has because of the Chicago MQG. Her style? "Music-inspired goth-adjacent book-work + negative space." 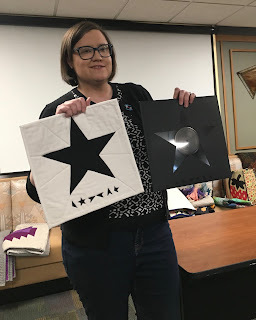 Laura made a quilt block based off of a David Bowie album cover. Elvis Costello and the Attractions inspired this delightful quilt. A block in Laura's current project, an homage to a variety of musicians. This is St. Vincent. February 17, 2019: Sew-In at Clarion Inn in Elmhurst (933 S Riverside Dr), we have a section of the ballroom for our use 10AM-4 PM (stop in anytime for any amount of time); our business meeting will occur at 2 PM. Bring your machines or hand work. This is a charity-focused sew-in, but you are welcome to work on your own projects. We do understand that for many, this is one of the few times you may have to get away and sew. We will be working on quilts for Project Night Night, creating “crib size” 40 X 50 or 50 X 60 quilts. You may use any pattern you wish or we will have some available. The guild owns plenty of new fabric, donated by a local quilt shop, that we can provide... or you are welcome to use your own. Kits will be available too. If you prefer to work on your own project and take a kit home that works too. If you plan to use guild fabric and have a pattern or colors in mind, email the yardage requirements to Sarah Schulman via our CMQG email (we will forward your request to Sarah). If you want to see/choose pictures of the fabrics before cutting, please let Sarah know in your request. The deadline to request specific fabric from our supply is Saturday, February 16. Sarah is also planning on bringing some bolts to the sew-in for you to choose from. Swatch packets for future reference of available fabrics are also being created, we will let you know when they are completed, it’s a big project. March 19, 2019 we welcome Joe “The Quilter” Cunningham, lecture/truck show to be held at our regular meeting location. 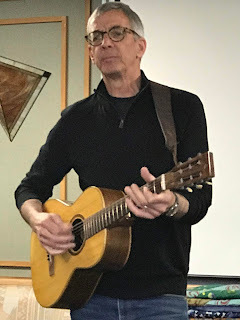 April 5-8 (9), 2019 Spring Retreat held at the Sienna Center, Racine, WI. All details and sign-up link are now available in a recent blog post. If necessary we will have a lottery for this retreat on February 17, so please sign up prior to the sew-in. April 14, 2019 Details are being finalized, info soon. Meeting to be held at our regular location. May 19, 2019 we welcome Libs Elliot. Libs was able to reschedule her visit to our usual weekend. 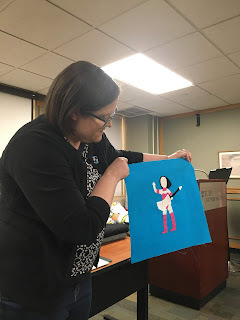 There will be a workshop on Saturday May 18 to be held at Thimbles in Lockport, registration will open after our March meeting, more details as we get closer. Lecture/truck show to be held Sunday May 19 at our regular meeting location. Sign-ups continue for our partnership with the University of Chicago Medical Center to present a Science and Medicine Quilt Challenge that will result in a Chicago Modern Quilt Guild show hanging in one of their public art galleries inside the hospital and its surrounding campus. Please refer to previous blog post for the specific dates and the sign-up link. There is no size requirement. 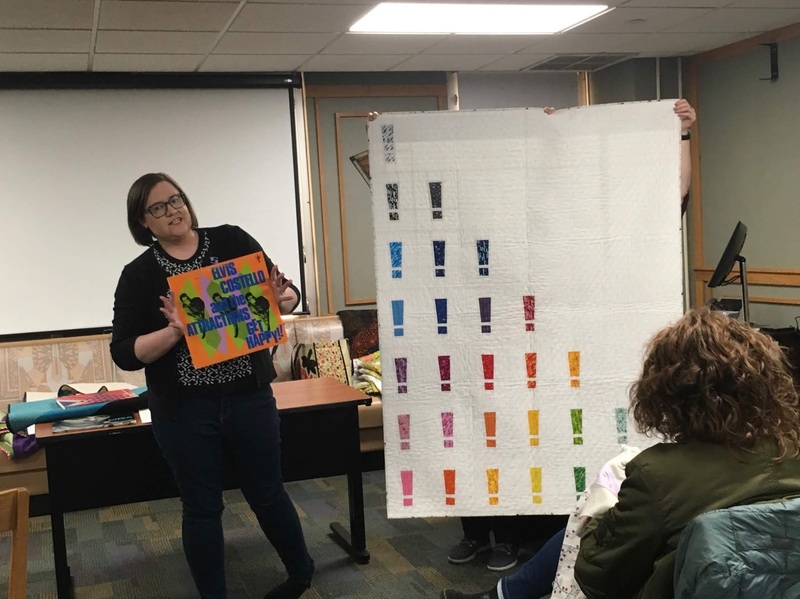 Our local Modern Quilt Junior Group is in Evanston. It is coordinated by member Shannon Dangerfield. 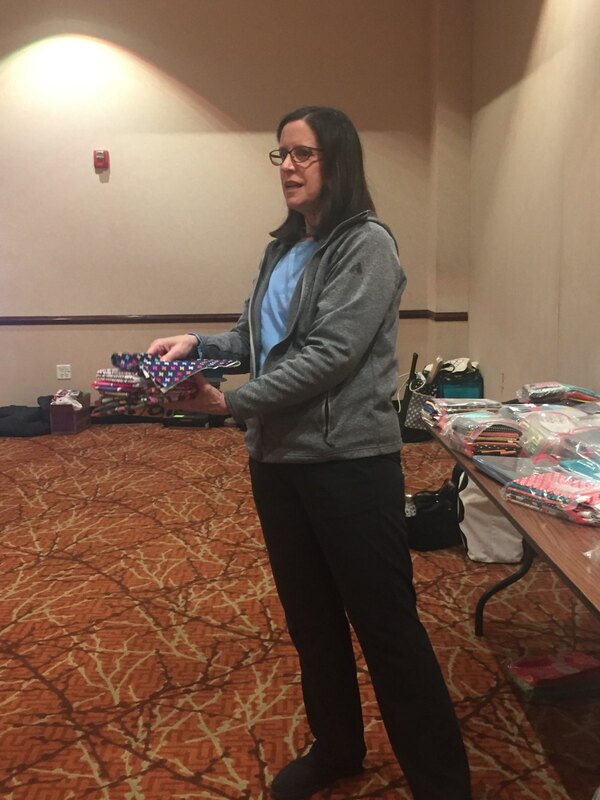 If you have extra fabric or notions that you would like to donate, please bring them to any guild meeting. If Shannon is unable to attend, we will make sure the donations get to her. 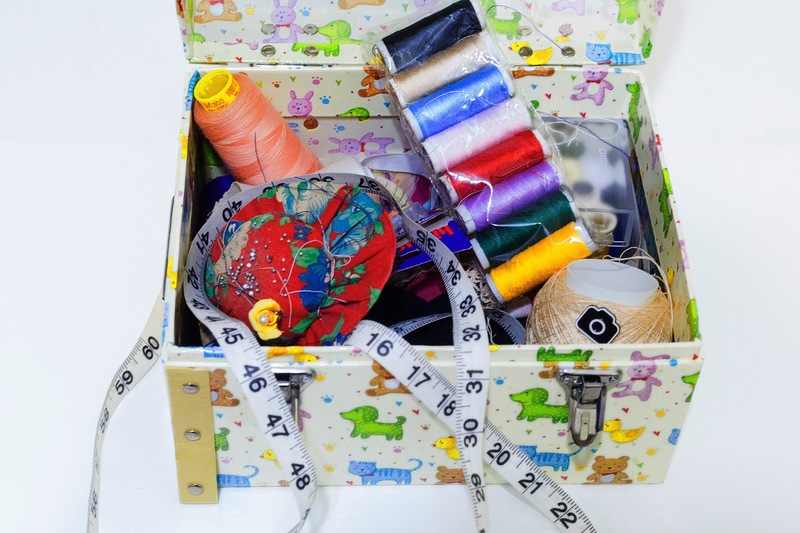 Monthly Sewing Nights: Two members are hosting sewing evenings in their homes on different nights each month. Please checked the last Full Bobbin for their contact information and the next planned dates. Programming announced two new initiatives for members to get to know each other better. Details coming soon if you missed the January meeting. 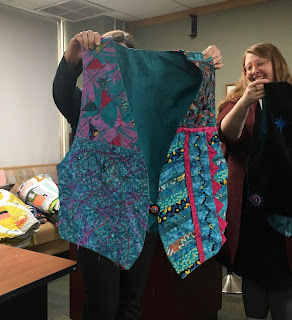 We all hope you are enjoying our monthly newsletter, “The Full Bobbin.” If you are in a quilt show or magazine, have a teaching gig, or are hosting an event we want to know about it. Please make sure to contact Social Media and Communications Chairperson Jenni Grover so it can be included. Also, contact Jenni if are a new member and you have yet received an issue. Check out our fun feature to The Full Bobbin, "Get Your Quilty Wishes Granted," based on the popular Instagram hashtag #getyourquiltywishesgranted. 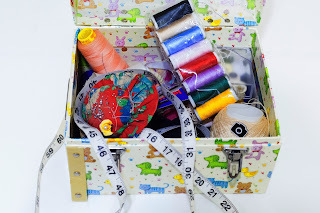 If you are unfamiliar, let’s say you are working on a particular project and need more yellow scraps or need more eye spy fabrics or whatever, send an email to the Full Bobbin (just hit reply on a previous issue of the Full Bobbin) with your name and what you are looking for. Each month we will publish as many as we can. Members can then bring the items to the next meeting. It’s a fun way to pass along something you may not need, but another quilter can use.